For the last six months or so I have been working on my first novel, a personal finance thriller entitled Cream City Hustle. 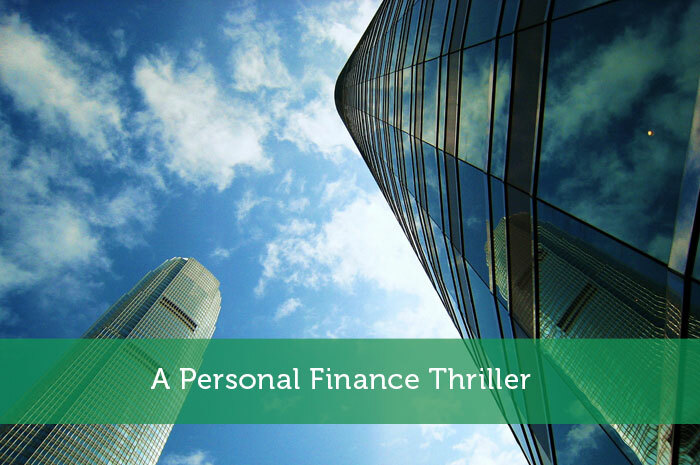 While there are financial thrillers out there, it is a fairly small genre. I’m not even certain that a would be sub-genre, personal finance thrillers, has any entrants. If so, it has to be a minute number. While I enjoy running my blog, RetirementSavvy.net, I was looking for a different way to be more creative and communicate with those interested in personal finance; something different from the blog or my first book, RENDEZVOUS WITH RETIREMENT: A Guide to Getting Fiscally Fit, a non-fiction ‘how to’ book on preparing for retirement. The idea behind the book was simple; communicate personal finance concepts and ideas within the framework of a fictional thriller. The execution was more difficult. I wanted to avoid simply ‘plugging’ personal finance concepts and practices into a story. I wanted to share them is such a way that they fit naturally into the story and are easily absorbed by the reader as the tale unfolds. Taking on the challenge intrigued me. The story’s protagonist, 20 year old Marcus, faces the same challenges many other Millennials are now confronting: building and maintaining an emergency fund, controlling debt and saving for retirement. Emergency Funds: This is a cash account that is used only in the event of an emergency, to fill critical financial gaps, or meet unexpected expenses. It is immediate access to cash that allows individuals to take care of unforeseen circumstances without impacting the money they have committed to saving and investing. Individuals that fail to build and maintain such a fund often find themselves relying on credit cards to overcome emergencies and subsequently incur more debt. Debt: Particularly student loan debt is troublesome for Millennials. A recent TransUnion study found that a decade ago, student loans accounted for only 12.9% of the total debt load carried by people ages 20 to 29. It now stands at 36.8%. Moreover, the average student loan balance for those with loans jumped to $29,575 from only $17,442 in 2005. Student loan and credit card debt is killing Millennials. If a young person is constantly focused on debt, they are not in a position to save and invest for financial goals such as buying a home or saving for retirement. Retirement Savings: For those that fail to recognize, and use, the power of time and compound interest, or are unable to take advantage of the phenomenon because of existing requirements to service debt, time soon becomes the enemy. Too often those that have failed to invest sufficiently during their 30s and 40s assume that they will simply work longer; work past the traditional retirement age. Numerous recent studies have shown that a majority of workers are now planning to work past the age of 65, many are planning to work past age 70 and some have no plans to ever retire. However, the decision to work may not be up to the individual. Changes in the economic environment or health related issues often force people out of the workforce earlier than desired. Therefore, it is absolutely essential that people develop and start funding a retirement plan as soon as possible, ideally in their 20s. I hope you will give the book a look. Did we just have a Dr. Seuss moment? I believe so. Anyway, I hope you will take the time to read the book and let me know, through providing a review at Amazon or dropping by my blog, if I was able to pull off weaving personal finance ideas and concepts into the framework of a thriller, in an engaging way. The hustle is on! 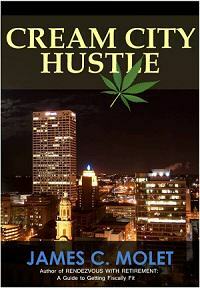 Cream City Hustle is now available at Amazon. I hope you will enjoy the read, John. If the Kindle Edition (eBook) doesn’t work for you, the paperback version will be available on Amazon in a few days. Looking forward to your feedback. Rock on man. I’m digging that title – it’s dope. Ha. That it is, J. Money! The hustle is definitely on in the Cream City. Thanks for the feedback John and J. Money. The hustle is definitely on in the Cream City. If the Kindle Edition (eBook) doesn’t work for you, the Paperback version will be available from Amazon in a few days. Sounds like a fun idea. I hope it works out for you. I remember when I took a project management course in college one of the assignments was to read a novel about project management. I thought it was strange at the time, but 15 years later the stuff from that book is probably what I remember most from that class. Thanks, Andy. I was intrigued by the idea of communicating Personal Finance ideas and concepts in a different way. I hope readers are receptive to the idea and enjoy the read. Average debt amounts continue to skyrocket for younger demographics, and this story highlights that reality very well (in addition to just plain being an entertaining read.) Worth checking out the eBook version on a rainy day. “Average debt amounts continue to skyrocket for younger demographics.” Absolutely. It is a problem, not just for Millennials, but for society at large. The sooner we start addressing the problem, the better off we will all be. Thanks for the feedback, Brian and it is gratifying to know you enjoyed the read. Sounds like it is going to be a great book!